Vermont’s three most northeastern counties, named the Northeast Kingdom (NEK) back in 1949, make up the state’s most rural and least wealthy region. Therefore, perhaps more than any other region, the Kingdom has had to rely on an unusually rich—some might call it quirky—type of ingenuity and craftsmanship within an equally rich natural environment that is treasured and protected. These factors made the perfect backdrop for an influx of well-educated back-to-the-landers in the 1970s. Leaving 9-5 jobs in the cities and migrating to Vermont, they brought communal and environmental values and artisanal skills that matched and built upon those of many of the long-term Vermont residents. All this gave rise to the Kingdom’s creative sector. Spark collaborative work space in Greensboro. So, as rural communities across America race to find their inner creativity, the Northeast Kingdom has already found its own. The creative economy represents 9.4 percent of all the jobs in the NEK, and the concentration of creative industries is 31 percent higher there than in the rest of the country. Creative enterprises affect nearly every other economic sector in the region, from healthcare to tech. There is a particularly strong convergence with tourism, especially outdoor recreation. These findings, among others, have just been published in Building on a Legacy of Creativity: Understanding and Expanding the Creative Economy of the Northeast Kingdom. Importantly, the work includes steps forward. 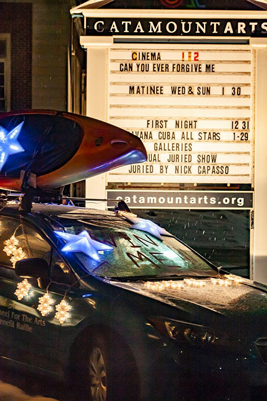 Catamount Arts in St. Johnsbury. Commissioned by the Vermont Arts Council on behalf of the Vermont Creative Network, the project was carried out by a team including Melissa Levy of Community Roots, Michael Kane, Stuart Rosenfeld, Stephon Michon of Futureworks, and Julia Dixon. A twenty-five person local advisory team provided feedback and guidance. 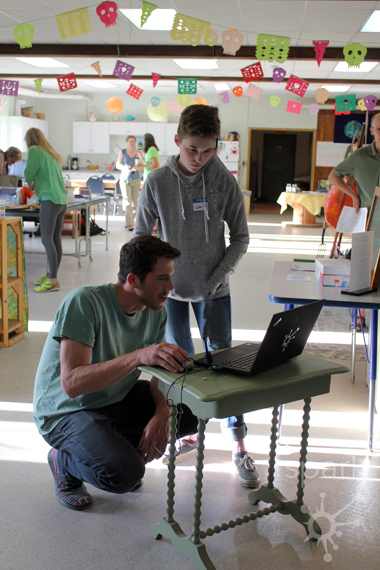 The work was supported by grants from the U.S. Department of Agriculture and the Vermont Community Foundation and informed by the participation of more than one hundred artists and community leaders. 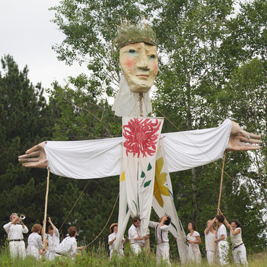 —top left image: Bread and Puppet Theater performing Total This & That Circus 2013. Photo by Mark Dannenhauer.